There are a lot of people who would not mind seeing Dave Rollins disappear. He really was a womanizer. Fortunately for him he was also the Maestro and friend of Mad Max. Even with his checkered past (which very few knew about) and present-his ability to write and play music was extraordinary! So who would want him dead? Mad Max was beside himself when Dave went missing the day after his retirement party and called on Georgie Shaw and her new husband Detective Jack Wheeler to figure it out--STAT. They found him alright--dead, lying on the rocks below his mansion--his house vandalized and trashed!! It took a lot of interviewing and searching to finally get to the bottom of this one. You will be surprised at who did it and why. There were a lot of twists and turns which will throw you for a loop! Marvelous Marley World’s legendary maestro is murdered. In good spirits at a gala marking his retirement, Dave Rollins disappears later that night. His beautiful home overlooking the Pacific Ocean is trashed—not just searched, but vandalized, too. The maestro’s old friend and boss, Max Marley, wants answers! At the crack of dawn, Max calls Georgie Shaw and Detective Jack Wheeler distraught, demanding that they help solve the mystery of the missing maestro. When Dave Rollins’ body is found on the rocks below his Malibu cliffside estate, Georgie and Jack are pulled into another whodunit. Who killed Dave Rollins? Did a secret from the maestro's youth catch up with him decades later? Or did a scorned woman, a jealous rival, a disturbed fan or someone else murder the maestro? Grab your copy and join Georgie and Jack as they solve the mysterious Murder of the Maestro in book 6 of the Georgie Shaw Cozy Mystery series by USA Today bestselling author, Anna Celeste Burke. To get a free eBook, copy & paste the link: http://www.desertcitiesmystery.com Join me! Life is an extravaganza! figuring out how to hang tough and make the most of the wild ride is the challenge. On my way to Oahu to join the rock musician and high school drop-out I had met in San Diego and married in Tijuana, I was nabbed by the police as a runaway. When the police let me go and the rock band broke up, my husband and I had to find another way to survive. Our next stop: Disney World where we trained to be chefs, courtesy of the Walt Disney World University. A GED for my husband and many more years of education landed us in academia at The Ohio State University. Retired now from my role as a professor in social work and behavioral science, I have picked up a long-time interest in writing fiction. I'm still married to the same sweet guy and live with him in the Palm Springs area. In addition to reading and writing fiction, I enjoy painting, hiking, hanging out with my handsome husband and tending to my Siamese kitties. If you go to her website this author also does a lot of giveaways for her own books as well as in collaboration with other authors. Anyone 18 years of age or older can enter to win the prize in this giveaway. The winner will be chosen via Rafflecopter. I will email the winner who has 48 hours to respond to that email. I will forward the info on to the author who is responsible for prize fulfillment. I would love to read Love - A Foot Above The Ground. I don't do audio (yet). I'd like read the The Jessica Huntington Desert Cities Mystery Series, especially Love A Foot Above the Ground! I don't really listen to audio. Sheila Siarkiewicz said I'm interested in the Georgie Shaw series. Have read Murder of the Maestro and I'm hooked. Planning on starting with the first book of the series and continuing until I'm caught up! I don't listen to audio books. Thank you for doing the giveaway! I have read every one of her books and sincerely have loved everyone of them. A foot above the ground is my all time favorite book. My favorite series is the Georgie Shaw series. Hello peeps.. I love the Georgie Shaw series! If I win I'm buying the other book in this series lol . Thanks for this chance. I would love to Read A Dead Sister in the Jessica Huntington Desert Cities Mystery series. I have the Georgie Shaw series and have read a few of the Corsario Cove Mysteries. I enjoy most audio books. The book I would like to read is Love Notes in the Key of Sea. Murder of the Maestro sounds like a great read. The house being trashed seems to obvious. I would go with someone he passed over on the way up the ladder. I do not, as of now, listen to audio books, although, six months ago I did not read e-books and now I read them often. To be honest, I love all of Anna's books! She was the first author that I began following on Facebook! The first author giveaway was " Cowabunga Christmas," and I loved it! Also, I confided in Anna about my wishes to become an author, and she encouraged me to pursue my dream! I haven't done so yet, but hopefully someday! The other day I purchased all of the "Georgie Shaw Mysteries," and when I let Anna know they were all for sale on Amazon, she invited me to be an ARC Angel! I'm sorry to go on like this, but I really like Anna! I do not particularly like Audio books. The book:A Merry Christmas Wedding Mystery,I like The Cozy Mystery Series. I've read and loved all of Anna Celeste Burke's series and am really looking forward to reading The Dead Cousin. I've never listened to an audiobook. I am interested in reading the Jessica Huntington Desert series. I love the Georgie Shaw series--she's great! I love the story of you and your husband! Oh, I forgot to say I don't listen to audio books, and any series is fine. I got caught up with your 'about' story! 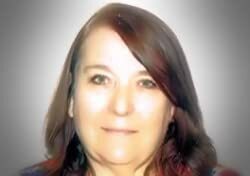 I am interested in reading the Corsario Cove Cozy Mystery Series. I am interested in reading the Georgie Shaw series. I just started listening to audio books so yes I do. Thank you for the chance. I would like to read Georgie Shaw books. "Murder at Catammando Mountain" sounds like a great read. I do listen to audiobooks. I'd love to read the Huntington Desert Cities Mystery Series. They all sound so good. I love audiobooks but only on CD in my car. Not listening on computer. I'm interested in Murder of the Maestro! And, I do love listening to audiobooks, especially on lengthy flights and/or car trips! I love all of the series, but I think the Georgie Shaw series is my fave. I don't do audio books. I just love to read too much!! I'd love to read Love a Foot Above the ground. I've never listened to an audio book. I have read all of her books! I don't really listen to audiobooks as I don't seem to have much opportunity to do so. 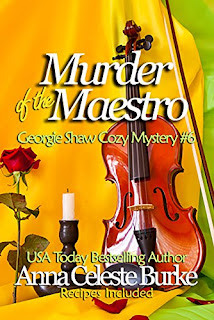 I am most interested in the Georgie Shaw Cozy Mystery Series. I have never listened to audio books before. I would love to start reading the Georgie Shaw series. I haven't tried audio books yet. Murder of the Maestro sounds intriguing! And my family LOVES audio books! I would like to readCowabunga Christmas Corsario Cove Cozy Mystery #1. I do not listen to audio books. Murder of the Maestro sounds like a thrilling read. I would like to read the book You get your life. I love mysteries! I haven't ever listened to an audio book. I'd love to read this book. And the Georgie Shaw series looks great too. I don't listen to audio books yet but I travel a lot so I think I'm going to start. I would like to read the Georgie Shaw Cozy Mystery Series. I like Willow Bend Cozy Mystery and Georgie Shaw Cozy Mystery series. Yes I love listening to audiobooks. Interested in Georgie Shaw series first. Don't really listen to audio books much. I love the Georgie Shaw series. Thanks for the giveaway. Vlad-Handing sounds great. I don't listen to audiobooks very often. I'm interested in reading the Corsario Cove Cozy Mystery Series! I don't listen to audio books. I'm interested in reading the Georgie Shaw Cozy Mystery Series. I don't really listen to audiobooks. I'm more of a visual person, so I find that my mind tends to wander when I'm just listening to a book. I love the sound of the Georgie Shaw Cozy Mystery series. I don't tend to listen to audio books. I love reading so much. A Dead Sister sounds really interesting, so does A Dead Husband. I am interested in the Silver Hills Series. I haven't done audio yet. I am interested in the Georgie Shaw series. I do not listen to audio books. A Pet Portraits Cozy Mystery. I download audio books on my iPod and listen on my daily walks. Would like to read the Georgie Shaw Cozy Mystery Series. I would love to the read the Georgie Shaw Cozy Mystery series. Yes I have listened to Audio books. Thanks for the chance! I would love to read the Jessica Huntington Desert Cities Mystery Series. I don’t listen to audio books. I am very interested in The Cozy Mystery Series. I have never tried audio but it does sound interesting. I would like to read the Georgie Shaw series. I do not listen to Audio books. They all sound like pretty good cozy mystery series, but I think I would start with the Cosario Cove series. As for audiobooks, I sometimes use them (mainly when I can't seem to find the book in another format) but really prefer print, since I read much faster than the spoken word. It is rather handy when I want to do some handwork while 'reading' a book though. I love cozy mysteries, I'm interested in reading Corsario Cove Cozy Mystery series. I do not listen to audio books. I'd like to try the Georgie Shaw mysteries. And yes, I do listen to audiobooks -- every day! I am interested in reading the Georgia Shaw Cozy Mystery Series. I listen to audio books. A foot above ground...and I LOVE audiobooks! oops! not sure how anonymous got checked the first time! I am interested in the George Shaw series. I am interested in reading First Street Church Romances: Love’s Odds. I don't currently listen to audiobooks.